Tallinn Russian Museum studies and introduces Russian culture in Estonia and establishes conditions for restoring, maintaining, collecting and displaying Estonian Russian cultural objects. Class and recess – two aspects of school life. Some people remember these times with joy, others want to forget them as quickly as possible, but for some, it is their life. Our exhibition is a journey to a school of times long gone, where anyone can find something familiar and close. School is where questions are asked and answers are given. The same applies to an exhibition: new knowledge is learned with questions and answers. 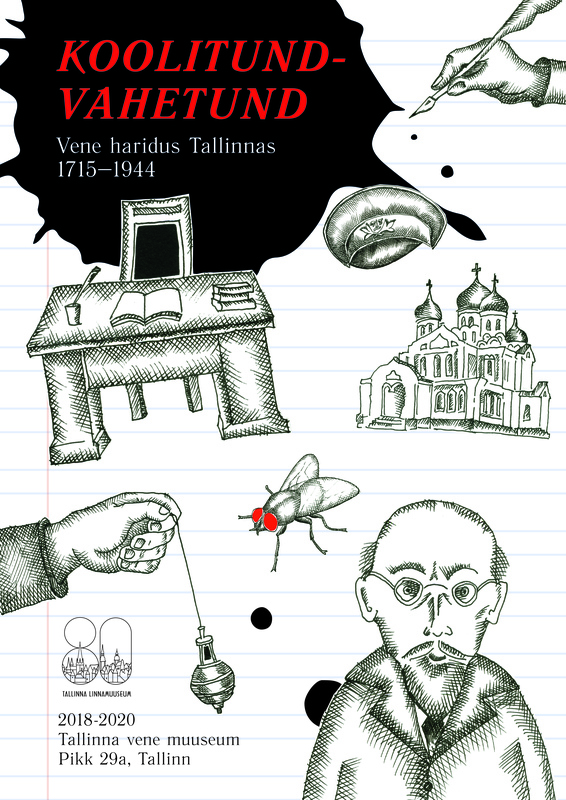 We open the discussion with Russian education in Tallinn from 1715 to 1944. This period encompasses many eras, but school life does depend on the changes of history. With the history of Russian school, we see the everyday school life that is understandable for everyone who has studied or is studying. We also talk about the history of the Russian community here. Today, there are discussions in Estonia about Russian education, pertaining somewhat to the fact that Russian is the mother tongue for many citizens of the country. It is now about time to turn to history, as its lessons can be a useful guide to solving complicated matters.